If you strive for success, excellence will follow. Rémy Martinis a testament to that. Born in the heart of the heart of the Grand Champagne Cru of Cognac way back in 1724, they began as a trading house run by Paul-Emile Rémy Martin. Today, it is one of the world's largest and most illustrious Cognac houses with a dozen core offerings and many special releases and limited editions. To produce their Cognac, Rémy Martin uses an exclusive blend of grapes made up of 97% Ugni Blanc and Colombard, with the remainder being the spicy, robust Folle Blanche grape. Marvelous. The fans and awards prove that when it comes to charm and allure, Rémy Martin is second to no Spirit. Cognac par excellence, indeed. But even among the illustrious Rémy Martin lineup, the Rémy Martin X.O. Excellence stands out. This particular story began in 1981 when the Cellar Master André Giraud set out to create an XO that would express the quality of the Cognac Fine Champagne. 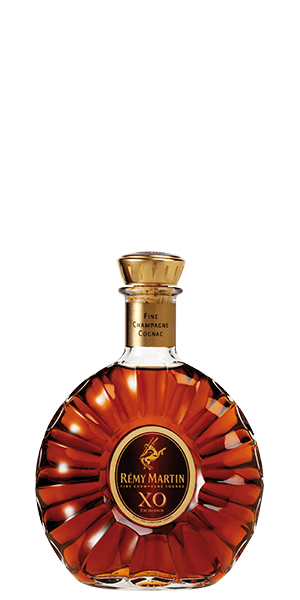 Rémy Martin XO is composed of Eaux-de-vie coming exclusively from the highest-quality vineyards of Cognac, with 85% coming from the Grand Champagne. The Grand Champaign Cru is a region with vast expanses of chalky soil that crumbles in hand. These are highly prized for Cognac grapes because the fruit grown here ages exceptionally well and develops stronger, more complex aromatics. This particular Cognac is nothing if not complex and rich. It consists of over 300 different Eaux-de-vie, which have been aged in oak casks between 10 and 37 years. Everything from its floral bouquet to the velvet texture and the full body reminds us that this is what fine Cognac should be all about. It should mark the special events in your life. It's not the Spirit or just any occasion, nor it should be. Be warned - if you get used to drinking it too regularly, everything else just might feel inferior. Excellence, it really lives up to the name. What does Rémy Martin XO Excellence Cognac taste like? The Flavor Spiral™ shows the most common flavors that you'll taste in Rémy Martin XO Excellence Cognac and gives you a chance to have a taste of it before actually tasting it. Revised critique: after my mother taught me how to drink congac, I found you have to hold the glass in your palm to warm it up to release its flavors. Sweet and fruity up front. Woody and bite stronger when warmed by hand. If served colder than room temperature, bite comes through at the end. I did not like this. Couldn't even finish it.